Asbestos at School: Is THAT What Your Child Is Breathing? According to their report, many of the reporting states could not answer the simplest question: that despite the old bans on asbestos, how many public schools continue to struggle with asbestos-containing materials? We thought the asbestos problem was solved. Thirty years ago, concern in Congress over the impact of exposure to asbestos hazards led to passage of the Asbestos Hazard Emergency Response Act (AHERA). While the law led to an increase in awareness of the cancer-causing toxic and resulted in rules designed to protect the 55 million children and 6 million staff in schools, the passage of time and fiscal restraints still leave people facing potential -- or very real -- exposures and costly long-term illnesses. Unfortunately, this is the conclusion reached in a report published in December by United States Senators Edward Markey (D-MA) and Barbara Boxer (D-CA). In March, the senators sent letters to the governors of all 50 states seeking information that would help determine the "extent of asbestos hazards remaining in schools across the nation." They heard back from only 20, and what they did learn left them deeply concerned. With many more questions left unanswered than answered, they are proposing a set of recommendations to get AHERA back on track and to raise awareness about a persistent public health threat. In February, parents in Pennsylvania were legitimately concerned by plans to remove asbestos floor tiles and abate fibers at three different elementary schools over one short weekend, enrolling some 870 children. 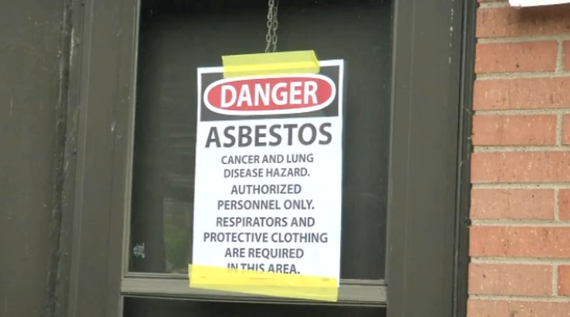 In April, parents in an Alabama school enrolling over 500 children threatened to keep their children home due to asbestos and other concerns. In December, Iowa was considering legal action due to multiple asbestos control violations during a school renovation project affecting over 1,400 students. And earlier this year, custodians at McCloskey Middle School in Uxbridge, Massachusetts with some 458 children enrolled, removed floor tiles from an unrestricted area in the school, moved the tiles through the populated building and left them in an outdoor dumpster for weeks. They did not realize the tiles contained asbestos. Nor was the Uxbridge school following federal laws on asbestos containment and renovations. When the Massachusetts Teachers Association (MTA) learned that more than 1,000 local schools had ignored the state's request for documentation of their compliance with AHERA, they took action. The Association's Environmental Health and Safety Committee moved to protect their own members' health and the health of students. The MTA held five trainings throughout the state, teaching members how to assess potential hazards, bring dangerous conditions to the attention of school officials, and advocate for and monitor remediation efforts. So what are our kids breathing when they inhale loose asbestos fibers? Asbestos has been recognized as a hazardous air pollutant and known human carcinogen since the early 1970s. The federal Occupational Safety and Health Administration (OSHA) has regulations to protect workers from exposures, but none to protect children who may be at risk by attending schools with poorly managed asbestos-containing materials, or in school or child care facilities undergoing renovations. Asbestos are sharp fibrous minerals occurring in nature. At least six types were used extensively in buildings and other commercial operations, starting in the 1930s. Asbestos fibers can become lodged in the lungs and gastrointestinal tract. They cause diseases such as lung cancer, asbestosis, and mesothelioma that may take years to reveal themselves. Asbestos health effects can continue even after the exposure has stopped. 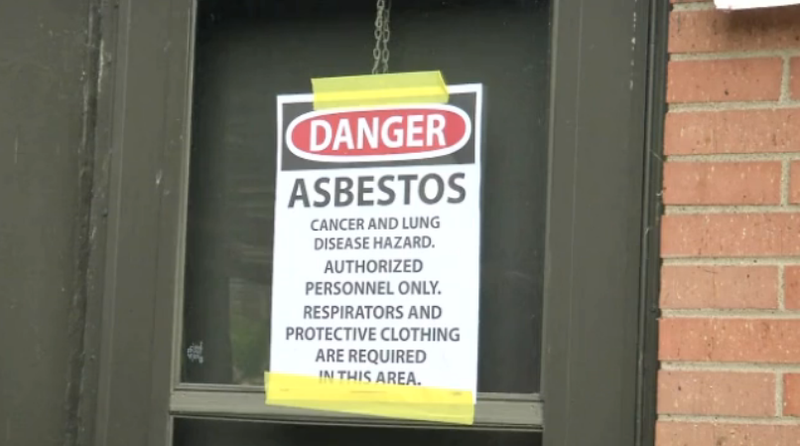 Asbestos is believed to be responsible for as many as 15,000 deaths in the U.S. each year. Although its use is discouraged and it is banned in 54 countries, it is a legacy toxic embedded into many older buildings in the U.S. and some uses are still legal here. In fact, OSHA states that any school built before 1981 is presumed to contain asbestos. That makes managing and or remediating asbestos in schools even more important, and in this fiscal climate, more of a struggle for the poorest schools serving the poorest communities. Unfortunately, what the senators learned from the 20 states that did respond to their survey is that state oversight is sporadic and inadequate. According to their report, many of the reporting states could not answer the simplest question: that despite the old bans on asbestos, how many public schools continue to struggle with asbestos-containing materials? In their recommendations, Markey and Boxer call for an update of the 1988 Asbestos Information Act. This law required a one-time publication of asbestos-containing products. AHERA must also be strengthened, they say, to require the EPA to evaluate state AHERA compliance programs every ten years. Additional funds for enforcement and continued outreach and education are essential.